That's right, this month the legendary H. P. Lovecraft, is my icon of the month. Howard Phillips "H. P." Lovecraft was born on August 20, 1890 in his family home at 194 (later 454) Angell Street in Providence, Rhode Island. (The house was demolished in 1961.) He was the only child of Winfield Scott Lovecraft, a travelling salesman of jewellery and precious metals, and Sarah Susan Phillips Lovecraft, who could trace her ancestry to the Massachusetts Bay Colony in 1631. His parents married when they were in their thirties, unusually late in life for the time period. 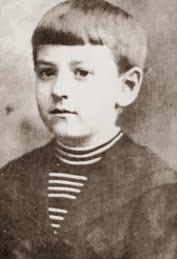 In 1893, when Lovecraft was three, his father became acutely psychotic and was placed in the Providence psychiatric institution, Butler Hospital, where he remained until his death in 1898. H.P. Lovecraft maintained throughout his life that his father had died in a condition of paralysis brought on by "nervous exhaustion". Although it has been suggested his father's mental illness may have been caused by syphilis, neither the younger Lovecraft nor his mother seems to have showed signs of being infected with the disease. 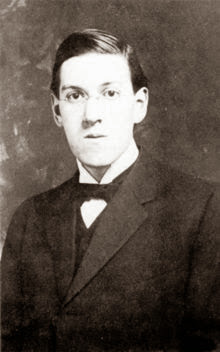 After his father's hospitalization, Lovecraft was raised by his mother, his two aunts (Lillian Delora Phillips and Annie Emeline Phillips), and his maternal grandfather, Whipple Van Buren Phillips, an American businessman. All five resided together in the family home. Lovecraft was a prodigy, reciting poetry at the age of three, and writing complete poems by six. His grandfather encouraged his reading, providing him with classics such as The Arabian Nights, Bulfinch's Age of Fable, and children's versions of the Iliad and the Odyssey. His grandfather also stirred the boy's interest in the weird by telling him his own original tales of Gothic horror. 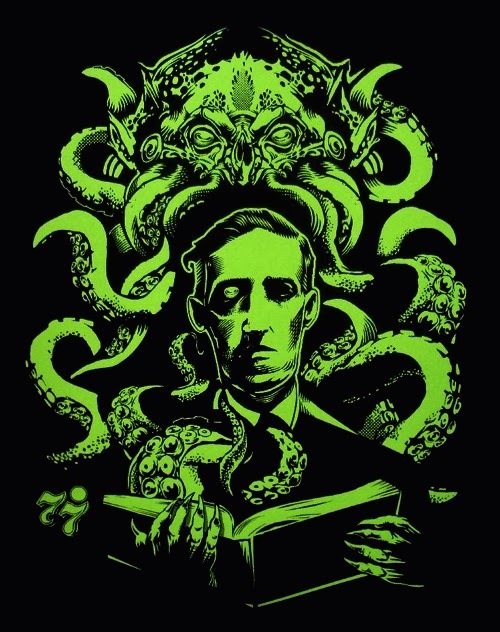 His grandfather's death in 1904 greatly affected Lovecraft's life. Mismanagement of his grandfather's estate left his family in a poor financial situation, and they were forced to move into much smaller accommodations at 598 (now a duplex at 598–600) Angell Street. In 1908, prior to his high school graduation, he claimed to have suffered what he later described as a "nervous breakdown", and consequently never received his high school diploma (although he maintained for most of his life that he did graduate). S. T. Joshi suggests in his biography of Lovecraft that a primary cause for this breakdown was his difficulty in higher mathematics, a subject he needed to master to become a professional astronomer. The adult Lovecraft was gaunt with dark eyes set in a very pale face (he rarely went out before nightfall). For five years after leaving school he lived an isolated existence with his mother, without seeking employment or new social contacts, primarily writing poetry. This changed in 1913 when he wrote a letter to The Argosy, a pulp magazine, complaining about the insipidness of the love stories in the publication by writer Fred Jackson. The ensuing debate in the magazine's letters column caught the eye of Edward F. Daas, president of the United Amateur Press Association (UAPA), who invited Lovecraft to join the organization in 1914. The UAPA reinvigorated Lovecraft and incited him to contribute many poems and essays; in 1916 his first published story, The Alchemist, appeared in the United Amateur. The earliest commercially published work came in 1922, when he was aged thirty-one. By this time he had begun to build what became a huge network of correspondents. His lengthy and frequent missives would make him one of the great letter writers of the century, Among his correspondents were Robert Bloch (Psycho), Clark Ashton Smith, and Robert E. Howard (Conan the Barbarian series). Many former aspiring authors later paid tribute to his mentoring and encouragement through the correspondence. His oeuvre is sometimes seen as consisting of three periods: an early Edgar Allan Poe influence; followed by a Lord Dunsany inspired 'Dream Cycle'; and finally the Cthulhu Mythos stories. However, many distinctive ideas and entities present in the third period were introduced in the earlier works, such as the 1917 story Dagon, and the threefold classification is partly overlapping. In 1919, after suffering from hysteria and depression for a long period of time, Lovecraft's mother was committed to the mental institution Butler Hospital where her husband had died. Nevertheless, she wrote frequent letters to Lovecraft, and they remained close until her death on May 24, 1921, the result of complications from gall bladder surgery. A few weeks after his mother's death, Lovecraft attended a convention of amateur journalists in Boston, Massachusetts, where he met Sonia Greene, owner of a successful hat shop and seven years his senior. A romantic relationship developed, they married in 1924 and relocated to her Brooklyn apartment; she thought he needed to get out of Providence in order to flourish and was willing to support him financially. 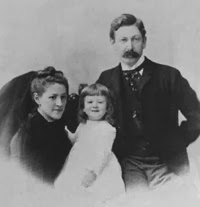 Greene, who had been married before, later said Lovecraft had performed satisfactorily as a lover, though she had to take the initiative in all aspects of the relationship. She attributed Lovecraft's passive nature to a stultifying upbringing by his mother. Lovecraft's weight increased to 200lbs on his wife's home cooking. 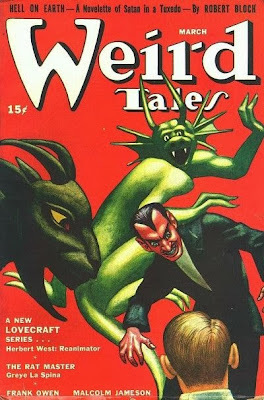 He was enthralled by New York and in what was informally dubbed the Kalem Club, he acquired a group of encouraging intellectual and literary friends who urged him to submit stories to Weird Tales; editor Edwin Baird accepted many otherworldly 'Dream Cycle' Lovecraft stories for the ailing publication, though they were heavily criticized by a section of the readership. Established informally some years before Lovecraft lived in New York, the core Kalem Club members were: boys' adventure novelist Henry Everett McNeil; the lawyer and anarchist writer James Ferdinand Morton, Jr.; and the poet Reinhardt Kleiner. In 1924 these four regular attendees were joined by Lovecraft along with his protégé Frank Belknap Long; bookseller George Willard Kirk and Lovecraft's close friend Samuel Loveman. Loveman was Jewish, but was unaware of Lovecraft's nativist attitudes. Conversely, it has been suggested Lovecraft, who disliked mention of sexual matters, was unaware that Loveman and some of his other friends were homosexual. Greene, moving where the work was, relocated to Cincinnati then Cleveland, her employment required constant travelling. Added to the daunting reality of failure in a city with a large immigrant population, Lovecraft's single room apartment in the run down area of Red Hook was burgled, leaving him with only the clothes he was wearing. In August 1925 he wrote The Horror at Red Hook and He in which the narrator says "My coming to New York had been a mistake; for whereas I had looked for poignant wonder and inspiration ... I had found instead only a sense of horror and oppression which threatened to master, paralyze, and annihilate me". It was at around this time he wrote the outline for The Call of Cthulhu with its theme of the insignificance of all humanity. In the bibliographical study H. P. Lovecraft: Against the World, Against Life, Michel Houellebecq suggested that the misfortunes fed Lovecraft's central motivation as a writer, which was racial resentment. With a weekly allowance Greene sent, Lovecraft moved to a working class area of Brooklyn Heights where he subsisted in a tiny apartment. He had lost 40lb of bodyweight by 1926, when he left for Providence. 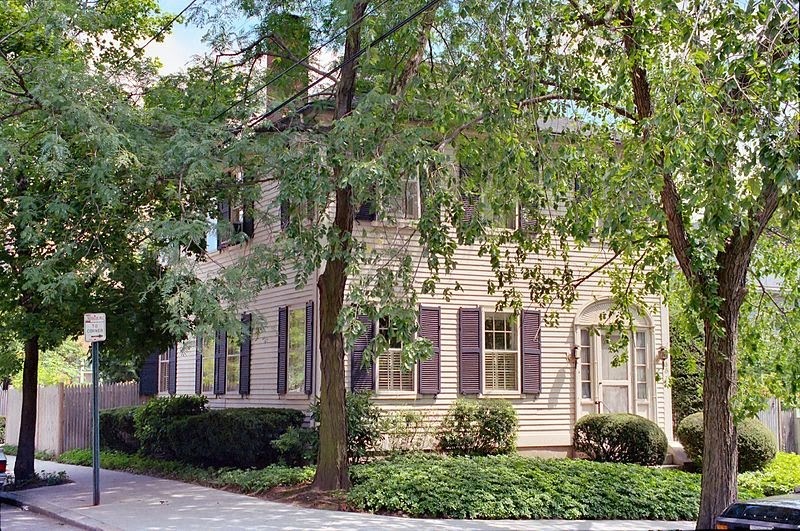 Back in Providence, Lovecraft lived in a "spacious brown Victorian wooden house" at 10 Barnes Street until 1933. The same address is given as the home of Dr. Willett in Lovecraft's The Case of Charles Dexter Ward. The period beginning after his return to Providence — the last decade of his life — was Lovecraft's most prolific; in that time he produced short stories, as well as his longest work The Case of Charles Dexter Ward and At the Mountains of Madness. He frequently revised work for other authors and did a large amount of ghost-writing, including "The Mound", "Winged Death", "The Diary of Alonzo Typer". Client Harry Houdini was lauditory, and attempted to help Lovecraft by introducing him to the head of a newspaper syndicate. Plans for a further project were ended by Houdini's death. Although he was able to combine his distinctive style (allusive and amorphous description by horrified though passive narrators) with the kind of stock content and action Weird Tales's editor wanted — Wright paid handsomely to snap up The Dunwich Horror which proved very popular with readers — Lovecraft increasingly produced work that brought him no remuneration. Affecting a calm indifference to the reception of his works, Lovecraft was in reality extremely sensitive to criticism and easily precipitated into withdrawal, he was known to give up trying to sell a story after it had been once rejected. Sometimes, as with The Shadow Over Innsmouth (which included a rousing chase that supplied action) he wrote a story that might have been commercially viable, but did not try to sell it. Lovecraft even ignored interested publishers; failing to reply when one inquired about any novel Lovecraft might have ready, although he had completed such a work, The Case of Charles Dexter Ward, it was never typed up. Throughout his life, selling stories and paid literary work for others did not provide enough to cover Lovecraft's basic expenses. Living frugally, he subsisted on an inheritance that had almost gone in his last years, by which time he sometimes went without food to afford the cost of mailing letters. He was forced to move to smaller and meaner lodgings with his surviving aunt. He was also deeply affected by the suicide of his correspondent Robert E. Howard. In 1936, Lovecraft was diagnosed with cancer of the small intestine, and as a result he suffered from malnutrition. He lived in constant pain until his death on March 15, 1937, in Providence. In accordance with his lifelong scientific curiosity, he kept a diary of his illness until close to the moment of his death. Lovecraft was listed along with his parents on the Phillips family monument. 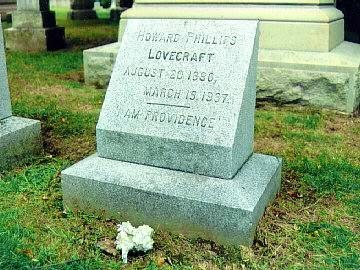 That was not enough for his fans, who in 1977 raised the money to buy him a headstone of his own in Swan Point Cemetery, on which they had inscribed Lovecraft's name, the dates of his birth and death, and the phrase "I AM PROVIDENCE," a line from one of his personal letters. Groups of enthusiasts annually observe the anniversaries of Lovecraft's death at Ladd Observatory and of his birth at his grave site. 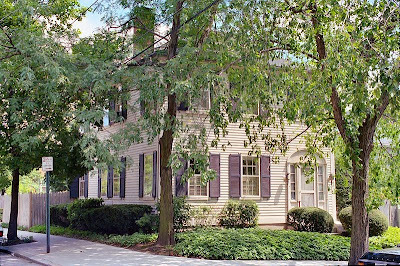 In July 2013, the Providence City Council designated the intersection of Angell and Prospect Streets near the author's former residences as "H.P. Lovecraft Memorial Square" and installed a commemorative sign. There is no denying Lovecraft's long lasting status, his work is still regarded highly and his influential themes are still an inspiration and escapism to many.